Recently, I participated in an online video discussion with an Animal Welfare class from an eastern U.S. university. 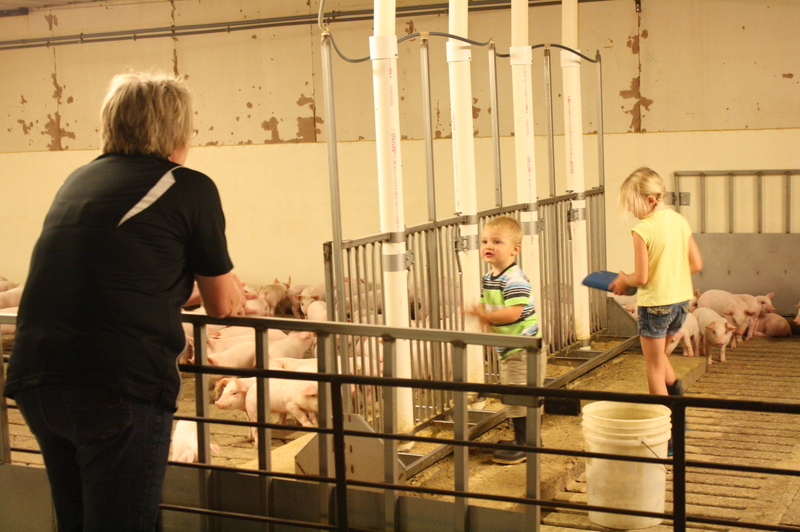 The purpose of the class was to give class attendees a farmer’s perspective on pig issues related to animal welfare. There were two of us, myself and another farmer from Indiana. We were given a few questions ahead of time, but we also answered questions directly from the class about pig farming. By the end of the class period, it was apparent there was a definite flavor of animal rights views within the classroom. Later, as I pondered about the class discussion, I thought very hard about the animal right’s perspective and agenda. I really wanted to “see” animal welfare issues through their eyes. I think what is most frustrating for farmers is how do we communicate our experiences so others also feel and see the same experiences. I wish others could experience the things we experience. If there is one term I am most frustrated with hearing people say, it is Factory Farms. Why? You may find this a little crazy coming from a hog farmer, but I really don’t know what they are. Just what is a factory farm? And the ironic part of this statement is I actually live in the Minnesota county that markets the largest numbers of hogs in the state. In fact, we are also ranked 6th nationally in regards to hogs marketed. So how utterly ridiculous does it sound when I say I don’t know what a factory farm is? It’s because my vision of a “factory farm” is not what I see. I envision a factory farm as a place with numerous long, cold, colorless steel buildings whose only goal is to produce as many animals as possible, as fast as possible with the least amount of money and care needed. I think of an uncaring, industrialized operation owned and run by “big money” corporations. An operation that has little to no contact between the animals and people. Whether we admit it or not, research tells us as people want to hear negative news stories. Think about it. What types of stories are covered in the news, both traditional TV news and Internet news? Our human nature wants to click on these stories, read the gory or appalling details about these “terrible” stories. Some days you wonder what is becoming of our world. I have to admit, it can be really, really annoying at times. And because bad news stories help media ratings, many positive voices and stories are not heard. Well, I want to change that and share with you a pig story untold. For those of you that don’t live in the midwest, our gravel roads (yes, I live on a gravel road) normally “breakup” in the early spring. What does “breakup” mean and why does it happen? If you spend any time browsing the documentary section on Netflix, it looks like “Food Inc.” and “King Corn” got married and had hundreds of anti-farming documentary offspring. Films like “Food Fight,” “Farmageddon,” “Forks over Knives” and “Food Matters” fill up screen after screen of Netflix’s “Watch now” section. Millions of Netflix subscribers have instant access to these films. And for many, it’s the only way they’ll ever hear information about modern agriculture. Unfortunately, the shots at modern farming aren’t limited to documentary films. Well-funded activist organizations like the Environmental Working Group (EWG) regularly blast agriculture, likening farmers to “drunks at a bar” and using their metro media contacts to blame agriculture for destroying our rivers and streams. Even multi-billion dollar corporations are piling on. Chipotle, which was once owned by McDonald’s (a target of many food and farm-related documentaries), recently released an online marketing campaign disguised as a television series that portrays modern agriculture as one big evil corporation using GMOs to grow their bottom line and injecting the meat we eat with all kinds of who knows what. Whether it’s a film, activist organization or mega-corporation, one thing is clear: People enjoy a good story. “In the end, people connect to stories more than they connect to facts,” says Jen Haugen, a registered dietitian who grew up on a farm near Lakefield, Minnesota and currently lives in Austin. And if farmers don’t tell their own story, someone else will. Hence, films like “King Corn,” activist organizations like EWG and anti-ag marketing campaigns from corporations like Chipotle. Haugen frequently talks food and farming in the local media and at food and health-related events. She also has her own website. She’s not a grenade-thrower, meaning she doesn’t make outrageous claims simply to garner attention to sell a film or a burrito. What she does provide is science-based information on buzzworthy food topics like GMOs and ideas for families to connect over farming and food. She also offers valuable insight into how individual farmers can better connect with consumers and tell their own story. Farmers telling their own story isn’t limited to the big screen or the pages of a newspaper. Everyday interactions present opportunities to tell farming’s story. For many farmers, telling their own story is difficult. They’re farmers, not public relations specialists. But a basic understanding of what makes an interesting story can go a long way in helping push back against misinformation currently out there about farming. For example, I recently spent 30 minutes on the phone with a farmer talking about ideas for stories about conservation. Only after we were done chatting did I learn that this farmer also practiced conservation drainage. To the farmer, conservation drainage was “just something he did.” The farmer didn’t think it was worth telling the general public about. With less than 2 percent of the population making their living on the farm today, America’s disconnect from agriculture is bigger than ever. People want to know about where their food comes from and they want to know more about farming, but they have no idea where to turn. 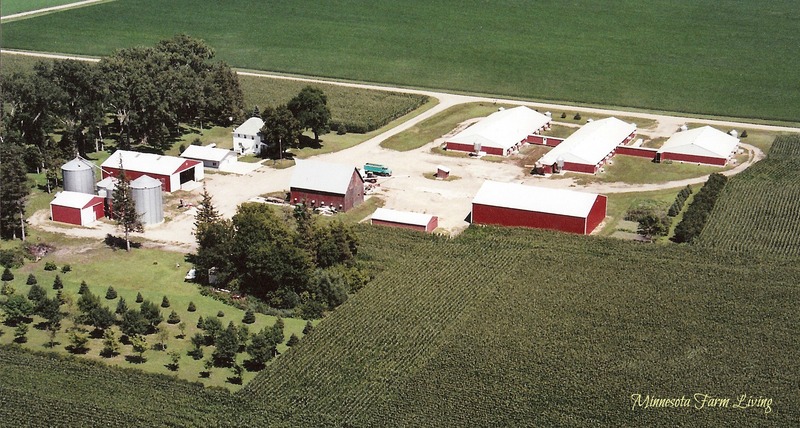 You can find Matt Braun on Twitter (@FastGrassGuy) and other social media outlets regularly sharing information about what’s happening near where he grew up on a family farm near the Farmington/Hampton, Minnesota area and where he lives today near Dennison. He agrees that it’s tough for a busy farmer to think about the public relations aspect of farming, but says it needs to happen. Yes, there is a lot of noise to cut through in order to get the true story out there about farming. It’s easy for me to sit behind a keyboard and tell farmers that they need to tell their own story. Like most things in life, the issue is a bit more complicated than that. But we have to start somewhere. If you still don’t think consumers are yearning for more information from farmers, then check out this video of Jimmy Kimmel asking people who are gluten free if they know what gluten actually is (spoiler alert: they don’t). Imagine a world where the people being interviewed got their information about food and farming from actual farmers, not movies on Netflix, EWGs or burrito conglomerates?